We all love bright and bold colors. Just like the floral, the light hair color for the spring isn’t something we are looking forward to. Blackberry Haircolor is the latest Haircolor trend that has caught up the attention of fashion lovers and Pinterest is full of this Haircolor photos. 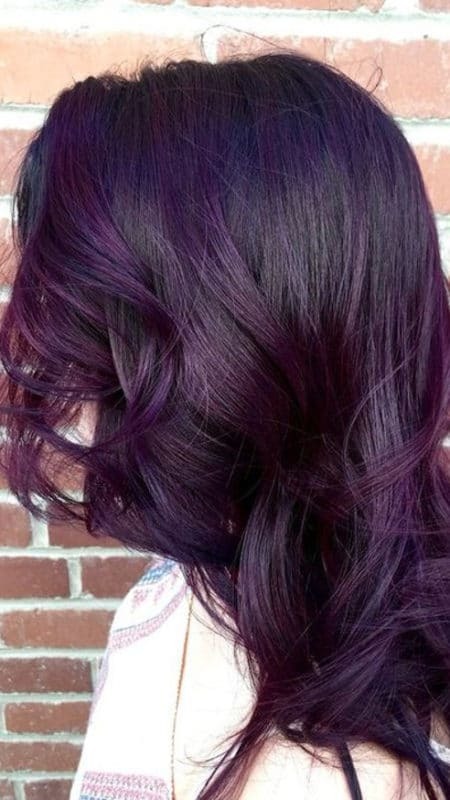 The cool and purple looking shade is a nice change from the typical list of spring Haircolor trends. This dark and sultry shade on the various Instagram feeds is the proof about how popular the blackberry Haircolor is. If the spring Haircolor trends were making you bored and to come out of this boredom you are looking for something new that is a drastic change, then the blackberry hair is the right solution to your problem. One of the first adapters of this Haircolor is Rockville, MD based hairstylist Megan Schipani’s blackberry dye job. Schipani gave one of her clients the most vivid blackberry shades we have seen. Schipani is not new to creating hair colors related to food and we all love her work, especially when she created the peanut butter and jelly inspired hair color a few months ago. With so much of experience, we all would love to know how she created the Blackberry Hair Color. According to Schipani, she created this color by using the balayage highlighting technique and only lightened the strands of her client’s dark brown base that she was going to color in purple. She left the roots untouched. 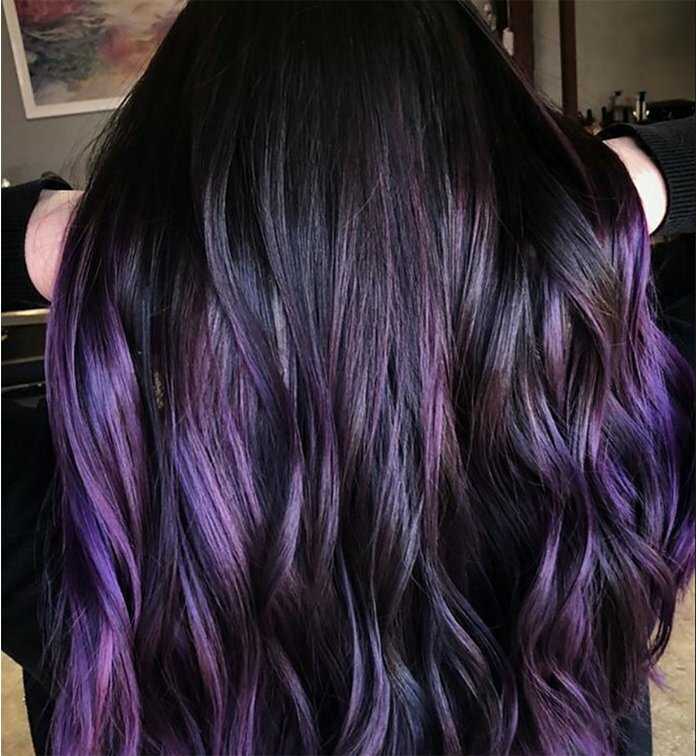 Once, the hair was shampooed and dried, she applied three different shades of purple from the L’Anza Haircare Vibes color line to the clients balayaged strands for some dimension. The blackberry hair color is a low maintenance hair color that is still fun. The technique to achieve this Haircolor is not easy. The balayage grows out beautifully without any root touchup required. Schipani says, she sends to her clients home, custom made color conditioner mix to refresh the color in-between visits. Some clients like the way the color fades, which turns into a beautiful shade of lavender. Schipani spends around eight hours lightening the hair with a balayage technique, making sure to lighten only the strands that would be covered with purple. Once the perfect level 8 blonde balayage base is created, she applies the L’Anza Haircare Vibes shades in purple with a hint of blue over the blonde. Believe it or not, the Blackberry Haircolor does not require lot of care. You may need typical cold rinses and an infrequent washing routine. When you are washing the blackberry hair, use a sulfate free shampoo and conditioner that don’t foam too much. The bubbles contain the abrasive oxygen, which can strip your tones. Schipani says, since she does not bleach her hair or touch her roots, the color grows out super smooth. So now, you will believe that a vivid hair color does not necessarily be high maintenance. 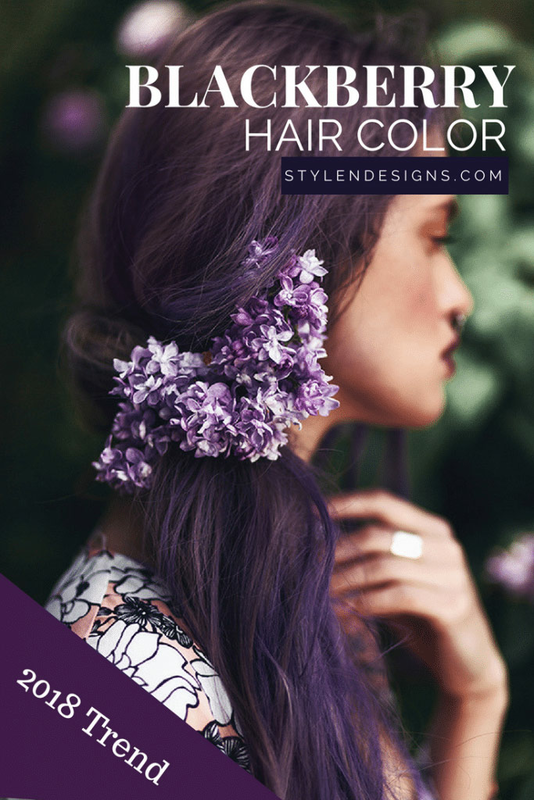 According to Schipani, this hair color looks great on anyone as long as the purple hues are customized to suit your skin tone. Schipani also recommends alternating colored conditioners like Bain De Terre Raspberry Plum Color Enhancing Conditioner for Plum Tones or L’Oreal Colourista in Burgundy or Purple to refresh your tone between the colorist appointments. It is a relief to know that a bright hair color doesn’t require a lot of maintenance and that is the reason why Pinterest is flooded with images of this trend. 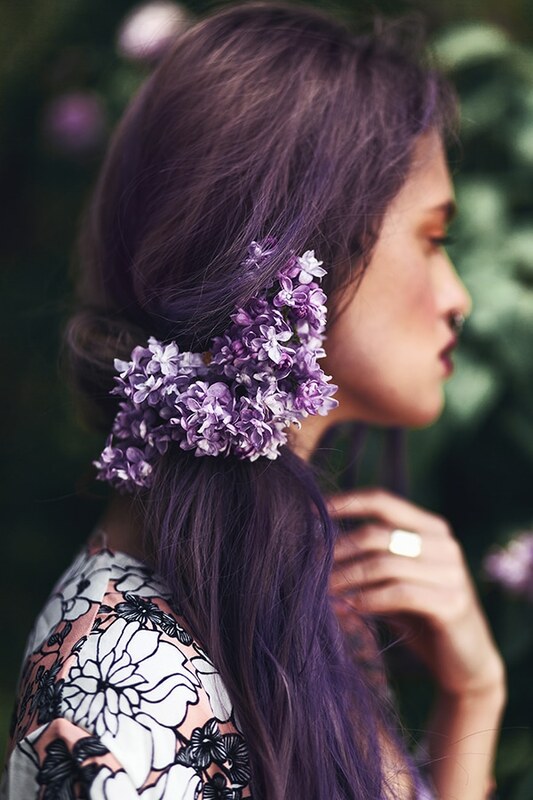 If you are looking for a bright shade for your hair this spring, Schipani says even though the purple has more of blackberry vibe when it is applied to a darker base, it would be pretty on any level. She also says that you can create a darker base, but that will be an entirely different process. If you have dark hair and have a lot of orange and red natural hair pigments, then you can achieve this shade with the hair color instead of bleaching and putting less stress on the hair says streeter’s artist Tina Outen. In fact, you are just adding a blue pigment, which sits nicely around your natural red pigments. These pigments get exposed during the coloring process easily creating a blackberry shade that is vibrant, healthy and glossy too. L’Oreal Professional Artist, Sophia Avera told: “Blonde on blonde is child’s play, I like anything which adds depth and texture to a clients haircut and face shape”. Blackberry hair color is not a child’s play for sure. You can take this vivid look in different directions that flatter your tone and style, whether it is cooling down with ash violets or warming it up with deep wine reds. This trendy hair color will make a huge statement and serve as a fresh and bright style for spring and summer. 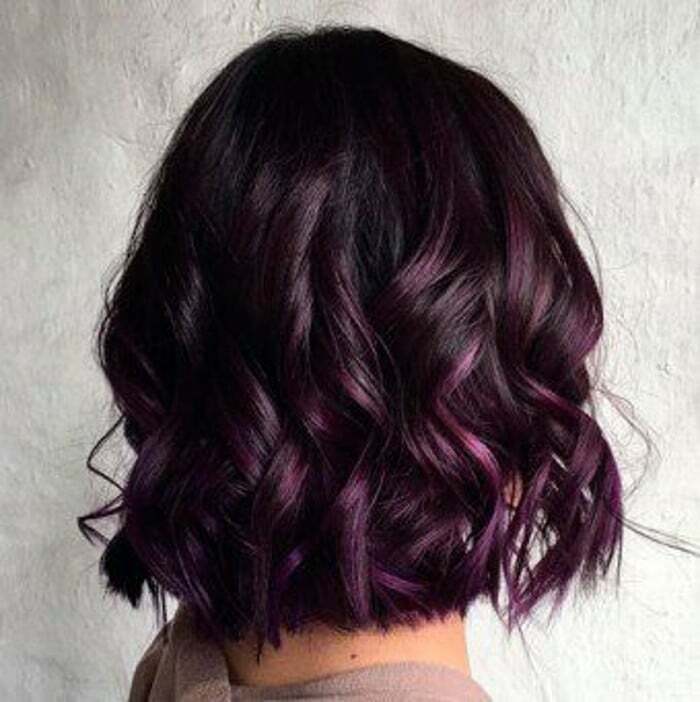 The blackberry hair color has surely topped the chart as the favorite trending hair color for this year and Pinterest is flooded with photos of different haircuts sporting this vivid and bright blackberry Haircolor. Blackberry hair color is best for those who have got tired of the bright and dull hair colors and want to switch to something that is not too bright like the other spring trends. It is the easiest hair color to stand out in the crowd when everyone gets a lighter shade.